This accredited qualification is designed to introduce the principles of risk assessment. It covers why risk assessments are necessary, the legal requirements relating to them and simple processes for carrying them out. 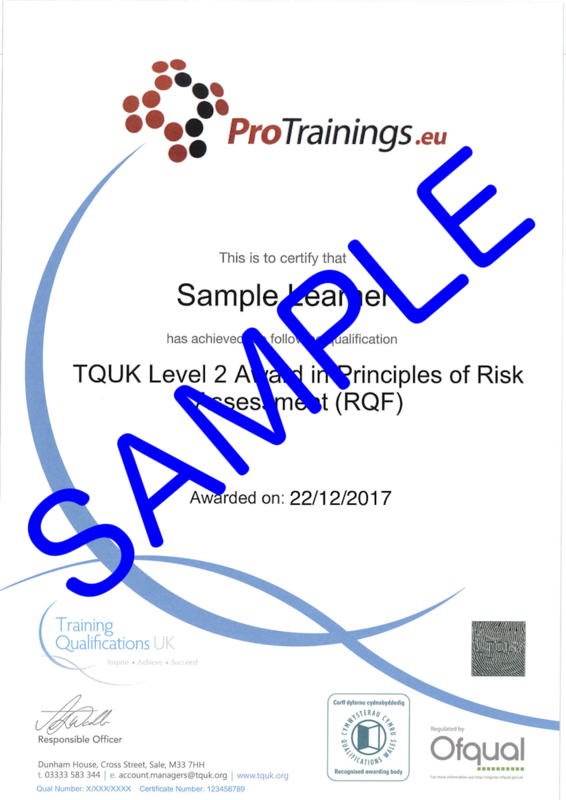 It is suitable for learners working in any environment who need to be more risk aware by raising their knowledge of risk in the workplace and basic steps they can take to control it. Risk Assessment is a trainer-led course that is delivered over a full day. The course aims are to give an understanding of the importance of risk assessment and current applicable legislation, to promote awareness and understanding of what constitutes a hazard, to promote understanding of the 5 steps of carrying out a risk assessment, and to give an understanding of different control measures and how these might be implemented. By the end of this session, candidates will understand the importance of risk assessment and current applicable legislation, understand what constitutes a hazard, understand the hierarchy of controls, and be able to carry out a risk assessment.